Gaby Sanchez was a hot rookie last season. The Marlins had a couple on their team, but I did not know too much about them when I saw them play last May. I was at the game more to see my White Sox play. 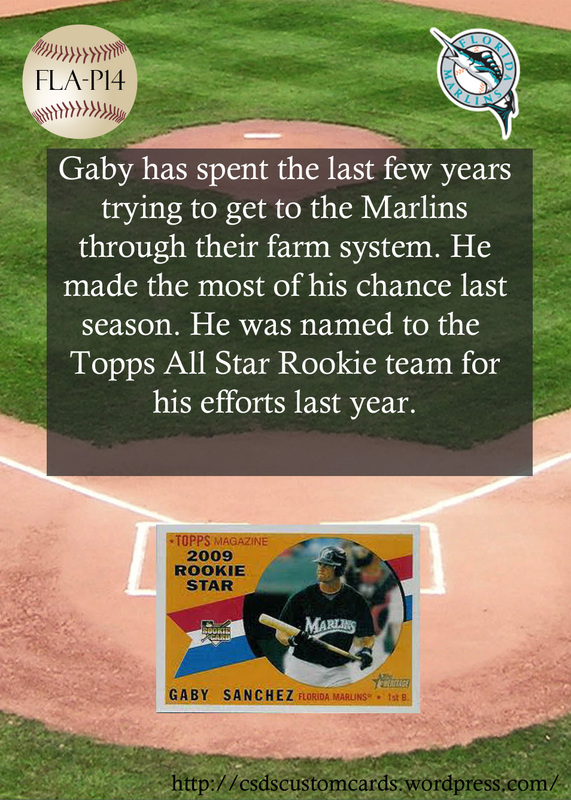 When Gaby was announced as a member of the Topps All Star Rookie team I decided to put him in this set. This picture was taken last May when the Marlins were in town to play an interleague game against the White Sox. Gaby was trowing the ball around the infield prior to the game, and I captured a bit of that on the two cards I have made of him so far. I like how some of the team colors really make the cards. I have decided that in the regular set to use as many of the team colors as I can. This entry was posted on April 8, 2011 by Pinola Photo. 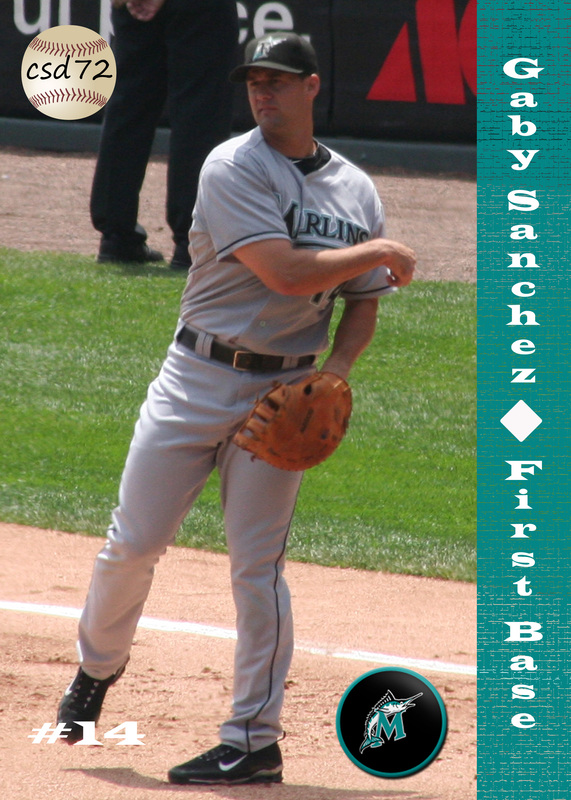 It was filed under 1b, 2011 Baseball Custom, 2011 Baseball Custom (Preview), Florida Marlins and was tagged with Baseball, Florida Marlins, Gaby Sanchez, Marlins.